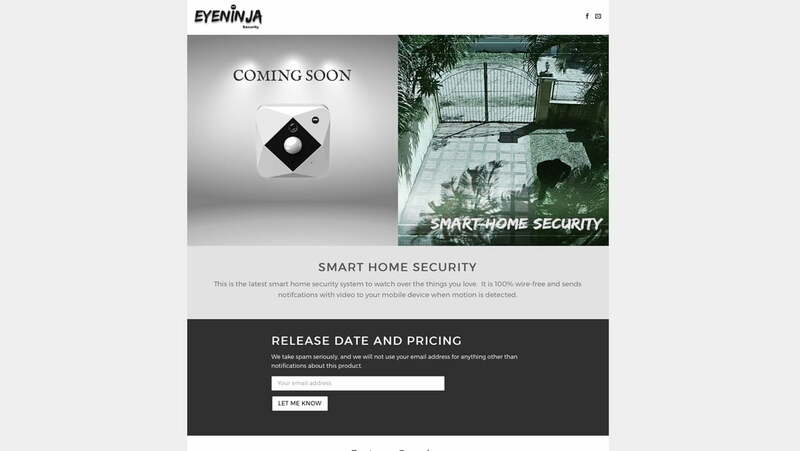 EyeNinja is a dynamic new startup company importing and selling smart home security devices. They asked us to create a slick, high functioning, secure e-commerce website design featuring one of their new 100% wire-free security cameras, which are soon to be launched. The website’s state of the art e-commerce functionality will go into action as soon as the product launches. No matter what type of website and/or website maintenance you’re after – or where you’re situated – Social Web Works has your perfect online marketing solutions. And our range of economical monthly subscription packages including full website hosting, support and maintenance mean you don’t have to pay for it all in a lump sum. So get in touch with Social Web Works in Orange today to find out what a difference we can make to your online presence, branding and marketing success.